64 seconds. That’s how long it has taken Ronda Rousey to dispatch her last three opponents. 16 seconds for Alexis Davis. 14 seconds for Cat Zingano. 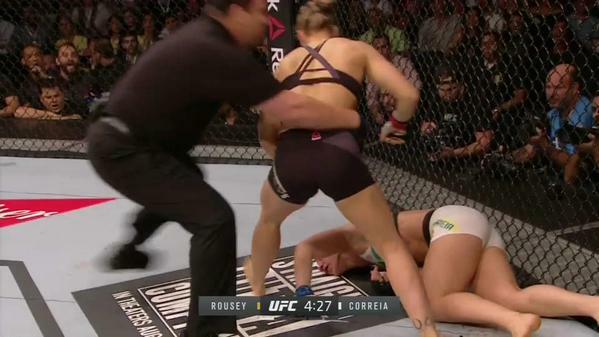 And now 34 seconds for Bethe Correia. Cat and Bethe came in sporting undefeated records. 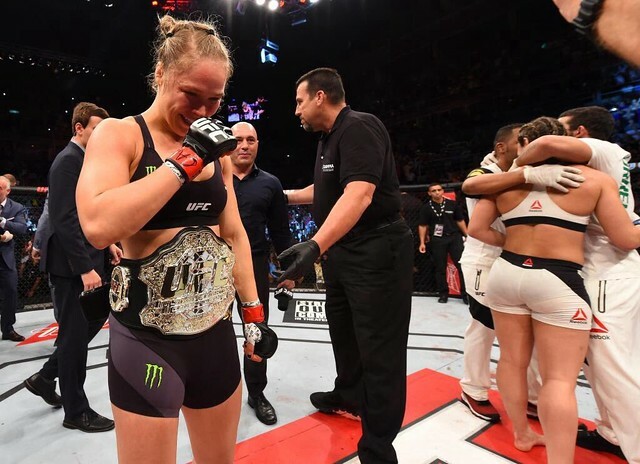 Only Ronda still maintains one at 12-0, all stoppages. I guess if you’re trying to make lemonade from lemons for Bethe, she did last 4 seconds longer than Alexis and Cat put together. 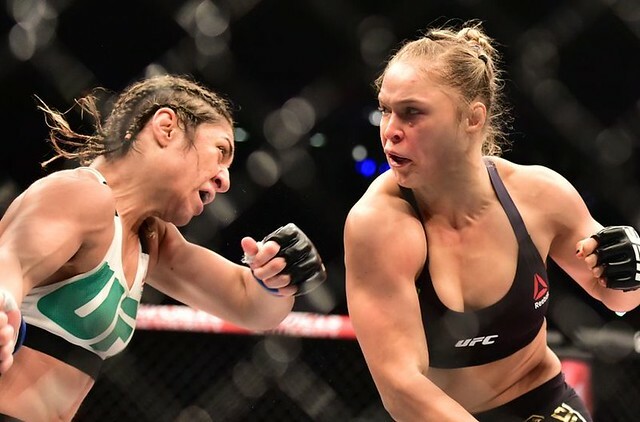 But like those who tried before her, in the end she was no match for the UFC’s greatest female fighter. Rousey went into Bethe’s home country of Brazil, listened to all of Correia’s smack talk about beating Ronda’s stablemates and shut up the challenger by beating her at her own striking game. In fact, it appeared as though Bethe was so concerned with not getting in a takedown position that she was wide open for big shots. After rocking Bethe with a few punches, it was a big Rousey right hand to the temple that sent Correia face down to the mat. There is a lot of trash talk that occurs in the lead up to fights. Usually, you take that as part of the business of promoting the event. But when Beth spoke of Ronda possibly committing suicide, as Rousey’s father did, that crossed the line to me. So I had no problem with Ronda throwing the “don’t cry!” line, which Bethe screamed at her during weigh ins, back at the fallen Brazilian after she was dropped to the mat. If you’re going to talk about someone and their family, and be so low as to reference a parent’s suicide, don’t have hurt feelings if you get mocked in defeat. 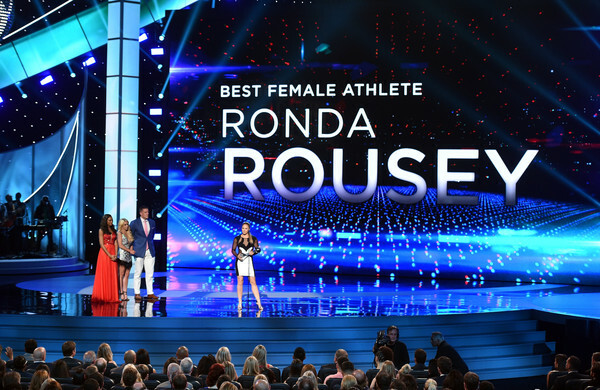 Ronda Rousey recently won the ESPY for Best Female Athlete and there’s no denying that she’s in a league of her own in the UFC. If Cyborg, Cristiane Justino that is, wants to do more than talk about beating Ronda, then make the 135 weight limit, join UFC and submit to drug testing. Even if Cyborg can beat Ronda, which is up for debate, if she doesn’t do what is necessary to set up that fight then all of her boasting and calling out Ronda amounts to just meaningless rambling. Up next for Ronda is probably a third fight with Miesha Tate, the only woman to take Rousey past the first round in MMA. I don’t know how well a fight with someone Ronda has already beaten twice is going to sell, but the mixture of bad blood between Ronda and Miesha always makes for verbal fireworks leading up to the match. At this point, it might not make any difference who is standing across the octagon. 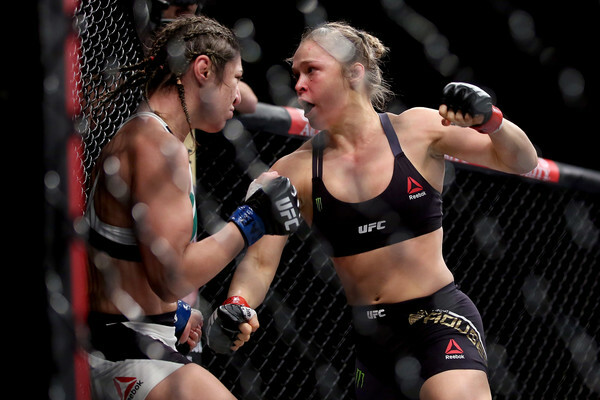 Only poor preparation can beat Ronda Rousey right now. Last edited by bangkokbobby; 08-02-2015 at 02:35 PM. Wow! That girl can fight. Too bad, the fight didn't last long.